This is a discouraging story. The descriptions of the people turning away from living in accordance with God’s requirements, their obstinate refusal to listen to the prophet warning of the pitfalls of their chosen path, and, still the voice of Isaiah calling to them, is reminiscent of an apocalyptic movie. Love of neighbor (Mark 12:29-31) be damned! I have seen some horrible things as an educator and as a pastor. I’ve been privy to some of the worst of what humanity has to offer. I’ve often felt like following God’s requirements “to do justice, embrace faithful love, and walk humbly with your God” (Micah 6:8 CEB) is futile. Too often I felt beaten down by shortsighted bureaucrats or politicians more concerned with bombing and killing others than feeding our own children! My words of “you are God’s beloved” seem too little when the church — THE CHURCH! — spews hatred and rejects children of God. In the face of an incoming president who has made fun of a disabled reporter, bragged about sexual assault, who has a racist history, and who blames and threatens to discriminate against all Muslims — our sibling Abrahamic religion — while claiming the Christian faith, I am discouraged. Does our faith even matter? On the morning following the election I was counseling multiple people who are terrified that their rights and personal safety are at stake now. One young woman said to me, “I am scared for my personal safety!” An individual one step removed from me was the victim of someone yelling, “Trump! N****r!” as he journeyed to work on public transit. I imagine Isaiah saw some of the same underbelly of humanity happening all around him. God does not seek prophets when humanity is loving neighbor and caring for the least of these (Matthew 25:44-45). God saw the state of the world all too clearly in the time around King Uzziah’s death, in Isaiah’s time. “It’s really a wonder that I haven’t dropped all my ideals, because they seem so absurd and impossible to carry out. Yet I keep them, because in spite of everything, I still believe that people are really good at heart” (Diary of a Young Girl, Anne Frank). Just as Isaiah responded to God’s call to a seemingly fruitless task, we must not give up on God’s call to be the realm of God in the world. If we are to call ourselves Christians, we must stand on the margins of society as Jesus did. We must strive to manifest extravagant love. We must protect the vulnerable now and especially if our president-elect continues to empower hatred. And I suppose that’s the Good News, even when we don’t deserve it, even when the only thing that remains is a holy seed, God does not give up. As faithful people we must not give up either. The great American myth is that we can accomplish more if we muscle through without rest. The great American sin is failing to take care of ourselves and, in the process, failing to trust God that the world will keep spinning without us. It is an arrogance. It is an idolatry to worship work at the expense of rest and self-care. Besides our arrogance and failure to trust the divine spirit that flows through creation, when we neglect self-care and regular sabbath we abuse ourselves. Threaded through the biblical witness from Genesis (e.g. ; Gen. 2:3) to Jesus (e.g. ; Mark 2:27) is an emphasis on the importance of self-care and rest. Living into the image of God in which all of us are created, we need regular sabbath. Despite the church’s traditional (self-serving?) teaching that sabbath is primarily about going to church, the reality is that most references to sabbath in the Bible are about abstention from work, rest, and self-care. Created in the image of the divine, maltreating ourselves through overwork is abusing God. When we forsake physical and emotional rest, we are more likely to mistreat others and break the Golden Rule (Matthew 22:34-40). When we fail to care for ourselves we are less kind, less patient, and, in my case, quicker to become angry and short over minuscule slights. Harming the God in me, harms the God in you. Without regular sabbath, we cease to be the people we were created to be. When I saw it, I thought apartment building. When she saw it, she thought Swiss cheese. So, who was right? Were either of us right? 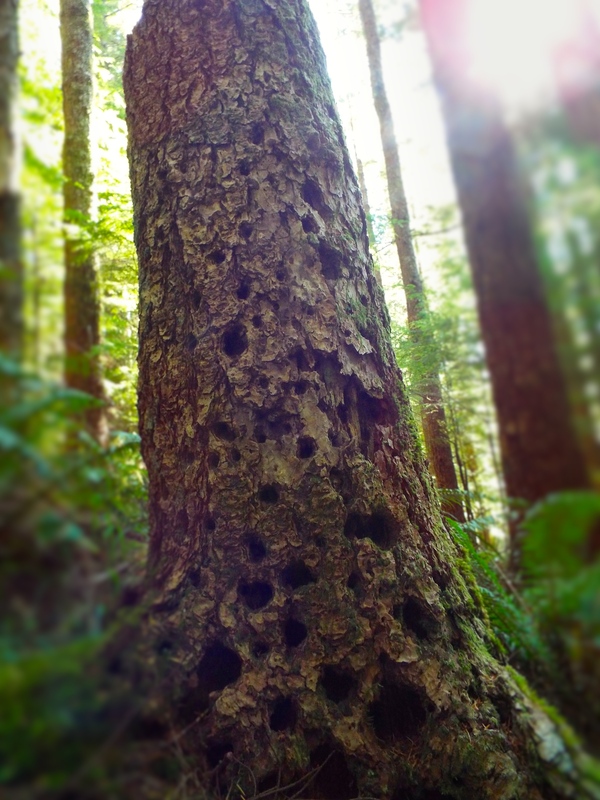 In my thinking, I noted the multiple holes. I proceeded to think about which creatures might be using this old stump. Then, I overlaid my conception of a place with multiple residences to describe it as Rodent Apartments. Of course, I did this in seconds. She? I suspect she reacted to the visual appearance of the stump. In her mind, she then went through objects with multiple holes. Donuts, nope not quite. Golf course, not so much. Finally, her mind arrived at Swiss cheese. She, too, did this in microseconds. Each of our descriptions use pre-existing understandings of the world around us. Each of us lay previous learnings on top of a new experience. We all do this. A lot. We use our own frame of reference to describe and understand things we encounter. The words and pictures and thought patterns we use when we do this reflect as much about us as the object or event. In other words, how we describe and understand things reflects who we are. It’s true of tree stumps, of our politics, and of the Bible. There is no such thing as a fully objective reading of scripture. We can mitigate the risks of eisegesis. Eisegesis is the fancy term for reading our own ideas or desires into the Bible rather than allowing the meanings of the text to be drawn out. That is, we impose our ideas on the Bible instead of letting it speak to us. We can lessen but never eliminate these personal and cultural biases from our understanding of the text. This is one of the reasons it is helpful to read scripture together in diverse community. Each of us hear slightly different things. By bouncing thoughts off of one another we can more accurately hear the voices of our ancient kindred describing how they understood God. We also — and most importantly — can more accurately perceive God’s still speaking voice and dream for our lives in the twenty-first century. I tell you this because too often our personal history and our preconceived ideas block us from the power, the depth and the radicalism of God’s dream for humanity. Our life experiences change what we think the Bible says regardless of what meaning was intended by the original writers. The only way around this is to build our own self- and cultural awareness within diverse community. As people of relative means, when we hear Jesus preach this, we tend to view it as a suggestion or as hyperbole because it demands a lot of us. It demands that we live differently than our culture and capitalism tell us to live. And, so, we interpret away our obligation. Sometimes, we talk about spiritual poverty and pretend that Jesus was more concerned about how you and I feel about God than about physically feeding the poor or economic injustices in our world. Not bad to share food but not exactly what Jesus said. OR we just dismiss it because, well, because we don’t want our faith to inconvenience us. We can intellectualize away passages like this if we are not poor. However, it is more than just being able to intellectualize passages away. We actually hear what Jesus is saying differently because of our relative wealth. Imagine if you can, how this same event sounds if you’re impoverished. Imagine you work three jobs and still keep falling behind on your bills. Imagine that people look down their noses at you on the street. Imagine your body is growing old before its time because you’ve lived most of your life without adequate health care and it’s hard to take a sick day even now because it means losing pay. Hear how Jesus’ words might sound if you were poor. Listen as the poor person I described. I’m reading from Matthew’s version of the event this time. I don’t know about you but I hear Jesus affirm God’s favor for the poor. And this is just one passage. Depending upon how narrowly or widely you define the terms, the Bible either addresses the needs of the poor and needy three hundred times or over two-thousand times. Either number is significant. Either number is far, far above the number of times the Bible talks about, oh I dunno, homosexuality or abortion (zero) or unfaithfulness in marriage. The significance of the number is true no matter how widely we define our terms to do the counting of references. If the biblical witness reflects the experiences of our ancient kindred with God, than God is deeply concerned about economic injustice in human society.That is, if our claim that the Bible is a collection of the stories, experiences, and theologies of our ancient forebears and that God speaks through the scripture, shouldn’t one of our chief concerns as Christians be the poor? But the poor person does not exist as an inescapable fact of destiny. His or her existence is not politically neutral, and it is not ethically innocent. The poor are a by-product of the system in which we live and for which we are responsible. Does God play favorites? The short answer is yes. Jesus didn’t make this stuff up himself, though he clearly taught and preached it. 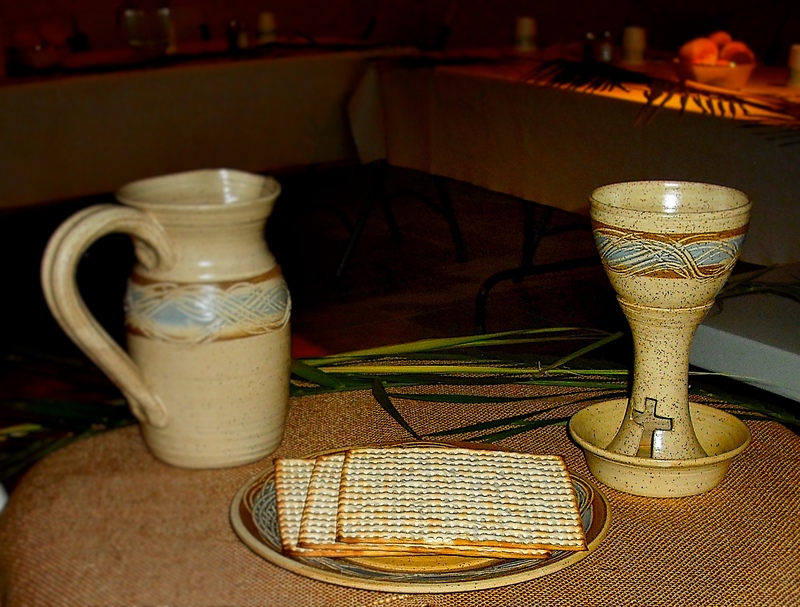 God’s concern for the poor is embedded in Jesus’ lived Judaism. It was ingrained in his day to day faith. You who serve the Lord—praise! from now until forever from now! As you may recall, the Book of Psalms is a collection of writings and songs. More than any other book of our Bible it directly reflects the words of the people in relationship with God. This particular psalm is a praise hymn that, along with 114, would be sung at the start of Passover. Notice how as this hymn progresses, the writer not only calls the people to worship but also gives reasons for doing so. God’s glory is higher than the skies! Then in this hymn of praise, God’s particular concern for the poor is restated. Imagine as you hear this, Jesus and his disciples singing this on that last night of Jesus’ life. Jesus and his disciples understood God’s “preferential option for the poor” and reflected it not only in their teaching and healing and other daily actions but in their liturgical practices. Does God Play Favorites? Yes. It makes me squirm as it should you. It means that my wealth is a hindrance to my faith. It means that I ought to be doing more to unravel the sinful tapestry of our economic system, the one that keeps too many citizens of our world in poverty. It means Jesus was serious. We are called to live with less — to give away our possessions — and share with the poor. We’re called to follow the teachings of Jesus, to mimic his life by living like and among those without. In so doing, the poor, the needy, and the oppressed will be lifted up. Jesus was serious. God is serious. It’s time that the church get serious about fundamental social change that benefits the oppressed and impoverished. This is our great sin. This is our great hypocrisy. We sing songs of praise but too often leave out the verses that talk about how God comes down from on high to lift up those in need. We gloss over or forget that we are called to be God’s hands and feet in the world. We keep waiting for God to fix the church or lift up the poor or end all manner of sins in the world but fail to respond to God’s beckoning voice calling us to be God’s hands and feet in the world. We ignore what it means for God to play favorites for the poor and oppressed while we ignore the the teachings of Jesus calling us to let go of our wealth and dismantle the systems of oppression under which poor people are trapped. Sometimes we fail because our wealth and preconceived ideas keep us from hearing God’s still challenging voice. Sometimes we fail because we don’t like what Jesus teaches or what our ancient kindred heard God saying. Often, it is just too much for us — me included — to admit that God favors the very people who we feel uncomfortable among. And, so, we alleviate our guilt by alleviating the symptoms. But God calls us to radicalism. the poverty of the poor is not a call to generous relief action, but a demand that we go and build a different social order. Does God play favorites? Yes, yes God does. The difficult question is the next one: what are we going to do about it? Are we prepared to align our interests, our favorites with God’s priorities? As individuals and as community, as church, are we prepared to embrace the radicalism of the faith we profess? This sermon was preached at the Condon (Oregon) United Church of Christ on Sunday, July 5, 2015. I reject the connotation that make is about forcing my faith upon others. I don’t see any biblical evidence for it. In my reading of the gospels and epistles, I don’t perceive guilt, fear, or harassment as tools for spreading the Good News of abundant love. Watch or read Make, Dunk, Teach, & Doubt and the discussion that followed below. It’s that word that always gets me. Make. Make sounds so very aggressive. It doesn’t always bother me. Make a lasagna, Yum. Make love, a normal part of human relationships. Make a cup of tea, sophisticated and Brit. Make the bed, not fun but practical. Make a deck, can I point you to my house? None of these uses bother me. So why do I bristle at that phrase? I think I bristle at it because of the way I’ve seen, “Go and make disciples” too often play out. Evangelism — which really simply means to share the Good News — has for some become about forcing a particular point of view upon others. I have experienced this firsthand when other Christians have shown up on my doorstep. I’ve experienced it when I was told, in this very building by someone from another church, that neither I nor the United Church of Christ meets their narrow definition of Christian. You don’t get to be fifty something as I am without having been accosted once or twice or twenty times by zealous Christians over the years. This is especially true if you’ve spent anytime, as I have, in the Bible Belt. So this is the way I choose to think about it. I reject the connotation that make is about forcing my faith upon others. I don’t see any biblical evidence for it. In my reading of the gospels and epistles, I don’t perceive guilt, fear, or harassment as tools for spreading the Good News of abundant love. Make, strictly speaking, is not about forcing anything on anyone. Though some of our Christian brothers and sisters seem to do that, intentionally or unintentionally, I do not hear Jesus calling us to force feed a particular set of doctrines or dogmas that way. It certainly doesn’t seem to me to be a very effective way of helping others perceive and practice the love that Jesus manifest in his life. What I do hear Jesus telling his disciples, and by extension us, is to be the extravagant love throughout the world. There are three key phrases here: make disciples; baptize them; and teach them. Let me touch on each of these one at a time. First, Make. We are to make disciples…not force people into our way of thinking but befriend and love them. Like the phrase make friends [pause] make disciples is about building relationship with others. Relationship by its very nature implies a certain give and take. It implies loving respect and compassion. Jesus tells the eleven to make disciples of all the nations, that means everyone. All the nations is a wider mission than we’ve even seen in Jesus’ earthly life. Second, Baptize. Jesus calls us to baptize others in the name of the Father and of the Son and of the Holy Spirit (Matthew 28: 19b CEB). If we take this literally we need to dunk people in a whole lot of water. Real water. Wet water. Not just sprinkles. Consider, however, that baptism is about the love of God coming over us. Baptism is about a metaphorical re-birth. I like to think about the baptism here being a baptism not in literal water but in extravagant love. I think of it as a baptism into the loving ways of God. Third, Teach. We are to teach about Jesus. We are to share what we’ve learned. This also, I think, implies that we are to listen and learn from one another. Perhaps it is because I’m a former teacher but I wonder if this is the most critical word in all of this passage. Looking back over Jesus’ ministry, his most effective disciple making came from teaching folks about how to live as God calls. So, now let’s look at a fourth key word in our reading from Matthew describing the risen Lord’s encounter with the eleven disciples on the mountaintop. Even some of the eleven doubted. This tells me that we can continue to make friends, to make disciples, to baptize one another in love, and teach and learn in the midst of our own doubt. I don’t know about you but I find this reassuring. I can doubt while I build relationships with others. I can doubt while I tell others the stories of my faith and my own personal journey. I can doubt whether I have the whole truth, while I listen to the stories of others’ spiritual journeys. Together as one human family — as all the nations — we can learn what it means to baptize one another in the divine love that Jesus manifest in his life. This sermon and discussion took place at the Condon United Church of Christ on Sunday morning, April 12, 2015. We find the resurrection not in selfishness or worry about personal salvation but in doing and risking for others. We find the Good News not when we exclude others but when we seek to include and love with extravagance! Read or watch the entire message below. The clouds hung low as she left the laptop, landline, and office walls that closed in around her. It was late to start out on a hike this time of the year especially on a day when the clouds hung so very low to the earth. She prayed that her spirit would be resurrected on the trail. The clouds hung low over the Jews in the Persian empire. It was an accurate reflection of the grief that Mordecai, Esther’s uncle, felt. The clouds hung low as Mordecai donned sackcloth and ashes and grieved outside the palace gate. He lamented to God in his prayers. He yearned for a resurrection that would save the Jewish people within the Persian empire. The waving palms and blue skies of last week were a distant memory. Dark clouds hung over the disciples following the brutal death of Jesus on the cross. Having denied Jesus, Peter and the other men who were his disciples were in hiding. But the women who had been with Jesus all along, watched the horror from a distance. At the moment of his death a powerful earthquake opened the graves of many holy people and they were raised from death. After his death, instead of hiding, the women left their worries behind so that they could be near the tomb. Though the clouds hung low I imagine the graves that opened at the moment of Jesus’ death gave the women hope as they prayed for a resurrection for Jesus. So often in our lives we find ourselves on Good Friday. The clouds hang low in our lives and we doubt that they will ever lift. Our bodies that in our twenties we thought would never abandon us, show signs of permanent wear. We worry with each ache and pain if this is the new normal. When a dear friend falls, we are shaken by an earthquake as powerful as the one upon Jesus’ death. We’re reminded of our vulnerability and mortality. We look at the lack of civility in our world. The shouted opinions on social media and in Washington coupled with closed ears make us wonder if we’ve degenerated too far. The values that have evolved in our culture that are so different than how we were taught cause us to wonder. Were we that wrong? Is the world that wrong? Can I change and grow and keep up? When we see mothers and fathers sobbing on national television because their children — young men of color — were gunned down and their bodies left on hot pavement for hours our hearts rip as surely as the temple curtain upon Jesus’ death. When our children in this country and Kenya, are not even safe in their schools and nothing seems to change because we’re too busy yelling at one another instead of working together, the tears fall from our eyes as surely as the blood of Jesus oozed from the holes in his body on the cross. We look around us in this sanctuary, with the Good Shepherd glass hovering over us, and we wonder why others — young and old — do not find the meaning here that we do? The dark clouds hover low in the sky and we pray for a resurrection. Like Mordecai, we lament, crying out to God. Where do we find the resurrection? How do we know when we are about to witness a resurrection? What do we do in just such a time as this? Queen Esther and Mordecai, the uncle who raised her, faced one of those times. The entire Jewish population was at risk of being exterminated millennia before Hitler was ever born. The disciples, the women and men, who followed Jesus faced one of those times after the cross. Good Friday and Saturday were times of confusion and fear. Denial. Hiding. Fear. Probably depression and panic. These were the clouds that hung near the earth. Sometimes it is difficult to feel hopeful or to perceive God’s desire for our lives. We can pray, we can meditate, and we can rack our brains trying to discern God’s will for us and still we are confused. Then sometimes there are those moments like there was for Esther and like there was for the faithful women who refused to hide. God is still speaking even in our time. God is still calling to us, offering the Good News of resurrection. Death never NEVER gets the last word. Love wins. Always. The question is, are we listening? The question is do we trust in the resurrection? Faced with the destruction of his people, Mordecai turns to his niece Queen Esther. Esther has been concealing her identity as a Jewish woman from even the King. And she listens. She perceives the still speaking voice in the words of her uncle. Esther risks her own life for the salvation of the Jewish people in the empire! 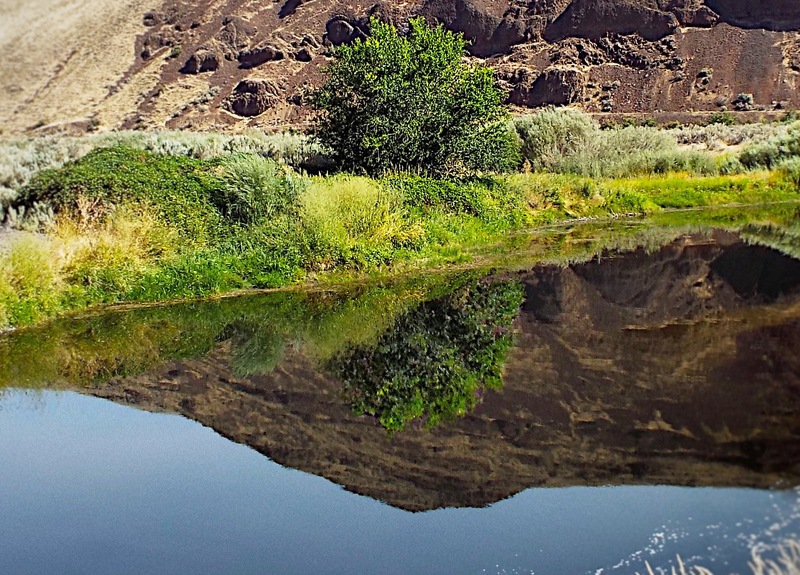 Esther focuses on the divine claim upon her life. She strives first for the realm of God rather than her own personal well-being. My friends, that is faith in God! That is trusting in the Good News! That is divine resurrection in action! Because she listened for God, because she took a leap of faith when she was unsure how things would turn out, God was able to co-create with her just such a time for a resurrection. Like Esther, the women who refused to hide with the eleven men — the twelve minus Judas — opened their whole selves to the revelation of God. In Matthew’s version of the story, Mary Magdalene and the other Mary go to the tomb not with spices to anoint a dead body but to be near Jesus. Mary Magdalene and the other Mary have been paying attention to the teachings of Jesus. There are those moments in our lives when God breaks in if we but listen. Instead of huddling in fear as the eleven men did, the Marys do not let fear or depression or panic keep them from hiking the trail placed before them. Because the Marys listened for God, because they took a leap of faith when they were unsure whether they would be safe in public, God was able to use them in just such a time as this. When we risk the status quo so that God might co-create something new in our broken and fragmented world, we are living as God intends. One of the great sins of our Christian faith is our overemphasis on personal salvation. That overemphasis leads us to selfishness and failure to take risks for others. It was selfishness — Rome’s fear that Jesus’ teachings and actions could lead to their loss of power — that led to the crucifixion. We find the resurrection not in selfishness or worry about personal salvation but in doing and risking for others. We find the Good News not when we exclude others but when we seek to include and love with extravagance! Notice that the first thing Jesus does after his resurrection is send the disciples back to Galilee, where it all began? As she trudged upward, the low hanging clouds obscured her view and her hope. Her angst and worry became despair. Good Friday wrapped around her. In her troubles, each step became a lament to God. Each step became a brutally honest emotion. And each footfall was heard by the same God who heard Jesus’ cries on the cross. Reaching a clearing, Heaven was opened to her and she saw the Spirit of God revealed through a break in the clouds. The mountain glistened in the sunlight. She dropped to her knees in awe that the creator saw fit to love her. As tears were released from her eyes, she praised the One whose love is for everyone. As she returned to the trailhead, she felt refreshed by the holy spirit of God that had washed over her. The Good News of the resurrection was for her, too. The Good News is that the resurrection is for you and for me. Praise be to the bountiful love that in the end will always overcome the low hanging clouds that encircle us. Praise be to the extravagant love that overcomes even death. Now the eleven disciples went to Galilee, to the mountain where Jesus told them to go. 17 When they saw him, they worshipped him, but some doubted. 18 Jesus came near and spoke to them, “I’ve received all authority in heaven and on earth. Therefore, go and make disciples of all nations, baptizing them in the name of the Father and of the Son and of the Holy Spirit, 20 teaching them to obey everything that I’ve commanded you. The story begins again in Galilee… only this time, it is our job to be the Good News of infinite love. Open your hearts, your minds, and listen. God is still speaking! We live in just such a time for resurrections! This sermon was delivered at the Condon United Church of Christ on Easter Sunday, April 5, 2015 by Tim Graves. The text for the sermon was Esther 4:14-17 and Matthew 28:1-10. Scripture quotations come from the Common English Bible, copyright 2011. Immerse yourselves in the love, they remind us. Immerse yourselves in the love, we remind them. Remember and be changed. Amen. Somehow, and I don’t quite know how, my daughter helped me to forgive Richard. Twenty-five years ago, I got a call on a Saturday morning that had me racing out the door within seconds. My sister had been beaten by her husband. As I drove at breakneck speed between our homes my heart, like the Grinch’s heart, constricted as I thought about that man! My sister’s now ex-husband Richard had chipped her ribs and bruised her body when he came in from a drunken all nighter. I have not forgotten. I also did not forgive him for two decades. In those two decades I spoke ill of him at every opportunity. My stomach became a knot when his name came up. My face turned red and I could feel the anger rise in me when I remembered. 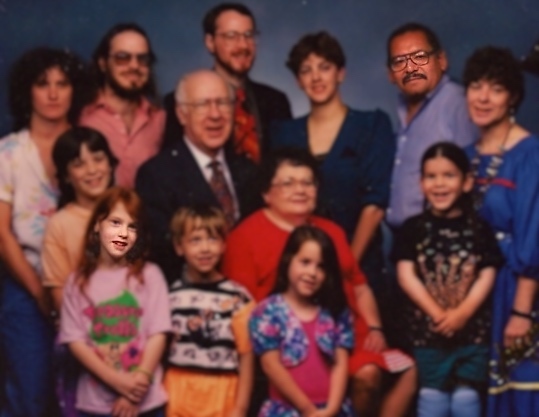 It wasn’t until my daughter, my beloved ginger haired baby girl began a writing project about Richard and his role and relationships within our family that my heart was finally released from its grinch-like prison. My daughter Jessica barely remembered Richard but traveled to Wisconsin to see him. She later spoke and wrote about a deeply wounded but good man who was suffering the consequences of many bad life choices. Somehow, and I don’t quite know how, my daughter helped me to forgive Richard. Somehow I released my anger and my constricted heart grew. I did not and have not forgotten. But in the releasing of my anger and hatred for him, I discovered some of the royalty within not only myself but in him. I glimpsed the image of God which we both share as human beings. I think our passage from Matthew gives us a hint at our human journey of learning to get along. Matthew’s two-thousand year old interpretation of who Jesus was, reveals that not everyone was good at avoiding temptations then, anymore than now. Matthew through this story reveals that Jesus is God’s son…but the original hearers need some evidence, too. Matthew is like an attorney building a narrative about who his client is, in this case the anticipated savior. And so, to help us see that Jesus is special, the writer of the gospel tells us the Holy Spirit led Jesus to the wilderness to be tested. And Jesus remains focused throughout the forty days on following the divine dream for his life. Jesus does more than avoid evil — for these temptations aren’t really all that evil — he avoids temptations that any one of us could rationalize ourselves into doing. We could easily convince ourselves that they are the right thing to do. Consider, Jesus is in the wilderness for forty days. His blood sugar level had to have dropped to dangerous levels by the second day. Would it have killed anyone if he’d turned a few stones into bread? It probably would’ve helped Jesus to keep his strength up for his work. Nope, not evil to eat. Also, not God’s plan as Matthew describes it. I imagine if the people had witnessed angels lifting Jesus up so he wasn’t injured, they’d have been pretty impressed. I think if we saw something like that we’d be pretty impressed, too, and might be more faithful in following Jesus’ teachings. Isn’t that a good thing? Ah, but again Jesus remains resolute and focused on God’s dream for his life. Jesus, Matthew tells us, is not quite the kind of messiah the people were expecting. Jesus will not be a conqueror of Rome. As the story unfolds we will learn that servanthood trumps violence every time. What if Jesus had become the ruler of earth two thousand years ago? I can’t imagine that the world would be any worse than it is now. Jesus would’ve prevented a lot of wars and strife. But as I’ve already mentioned, Jesus is not the military messiah that the people yearned for. And so the gospel writer we refer to as Matthew interprets Jesus’ life for us through this story and those that will follow in the rest of the gospel. Servanthood reigns in God’s realm, in the kingdom. Jesus is focused on God’s dream for his life rather than on his own ideas for how to fix the world. Jesus, keeps his eyes on the prize. But I promised at the start that Matthew’s version of the temptation of Christ would help us understand why we’ve not achieved Rev. King’s dream and why we can’t quite get along as a human family — even in Condon. It’s like this, avoiding evil is easy, avoiding grey-area temptations is not. The real challenge is following God’s dream for us. Jesus avoided each of the grey-area temptations that the Devil offered keeping his focus on God’s dream for his life. We, on the other hand, fail to keep our eyes on God. As I’ve reflected on this passage and the I Have a Dream speech, it occurred to me there are three general categories of people who want to follow Jesus. 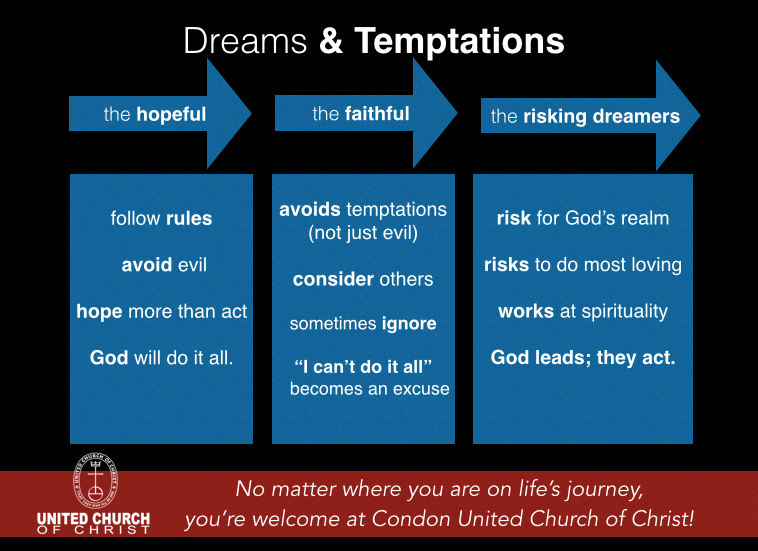 Though, it’s true that we probably bounce between these categories (the hopeful, the faithful, and the risking dreamers), I think this continuum helps explain our relationship with God’s dream for us. They follow the rules. They avoid evil. That’s easy enough. They hope for a better world but generally they define that as a peaceful world for themselves and their friends and family. The hopeful don’t do much unless it directly impacts them. Don’t get me wrong, they’re good people. It’s just that, well, rules! Oh, yeah, and not everyone is worthy in their eyes. Their biggest weakness is they think God will do it all if they just believe enough. They avoid many of the grey-area temptations, not just the evil. They know that a better world will only come if they consider others when they’re tempted. They never knowingly do something that harms others but they don’t always go to the trouble of knowing. The faithful work at being good people. They genuinely ache when they hear about the massacre in Nigeria or hungry children in Appalachia. Their weakness is that they often hesitate to give up enough for their faith. “I can’t do it all,” while true, too often becomes an excuse for remaining comfortable. They live their lives as God dreams. They take risks for God’s realm (the kingdom) every day of their lives, believing that is the unfolding of God’s will that will bring a better world. In every moment, the dreamer considers what the most loving thing is and they do it, whatever the personal risk. The risking dreamers work at being spiritually-attuned. That is, they know that in order live as God desires them to live, they must focus on the divine. They know that the divine is often found in the places and among the people that society rejects. They’re not afraid of risking for God’s dream, knowing that within it they will find joy and satisfaction. God leads, they follow by acting. According to Matthew, Jesus followed God’s dream for his life. He starts in the wilderness by rejecting what by human standards might have been good choices — eating, demonstrating his worthiness to be followed, and leading a benevolent kingdom. And then he began his sacrificial ministry of abundant love. Jesus is a risking dreamer. We, on the other hand, spend most of our lives bouncing between being the hopeful and the faithful. It’s not that we’re bad people. On the contrary we are good people trying to do our best but we’re missing the point. It is God’s dream that we were created to fulfill. Jesus is the one who models for us how to consistently focus on God’s dream for humanity. Jesus shows us the way to be risking dreamers. When he was hanging on the cross, what did he do but pray for his persecutors? We’re not Jesus but there are some ordinary folks who spend more time in being risking dreamers than others. I think Rev. King risked much to live as God intended for him but he, too, was human. He, too, spent time in the faithful and the hopeful. Like you and I, he sinned. We have saints in the history of this very church who have spent time taking risks for the furtherance of the realm of God in Condon. We have saints who were risking dreamers: spiritually attuned, listening to God, and acting not as they thought best but as God thought best. Building this building in 1957 was a risk and needed at the time. Giving away land for the memory care center was a risk. Leaving the comfort of our eastern Oregon wheat fields to advocate for justice in Salem and in DC was a risk. Calling and accepting a gay pastor in this church was a risk…and you did it a very long time ago. Some of you, may have taken some risks to live God’s dream but you like me, probably spend more time being hopeful and faithful instead of taking the risks God has laid before you. Our task. Our task as imperfect human beings is to strive to spend less time in the hopeful and the faithful categories. Our task is to be more like Jesus — not Jesus, we can’t pull that one off — but more like Jesus. work at our spirituality: praying, studying the holy Bible, and sharing our gifts — financial and otherwise. be and act the most loving in EVERY moment — whatever the personal risk. take risks for God’s realm and give up our infatuation with human culture and worry about what others will think. Jesus, who risked what was ultimately his own life, shows us the way. Jesus, who died on the cross, also rose from the dead because God’s love is that big! What are we afraid of?